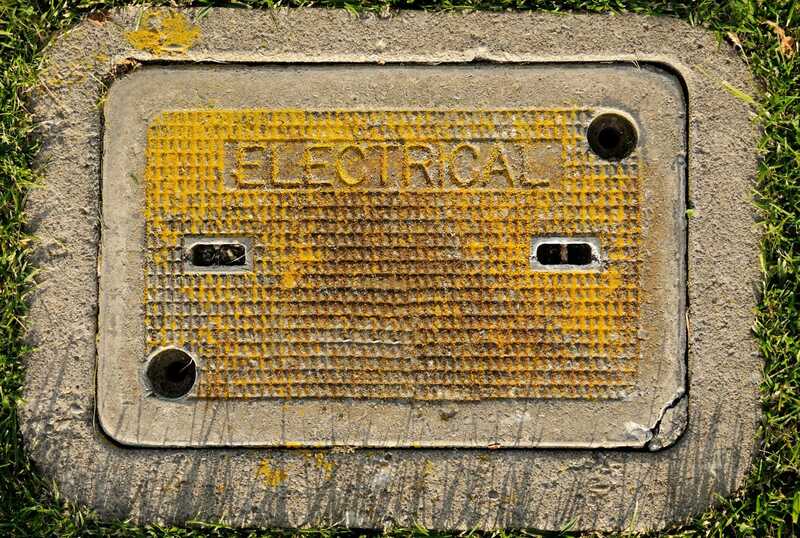 AMEC Electric is your local, full-service industrial and commercial electrical contractor, and we’ve developed a reputation by being a leader in our field. 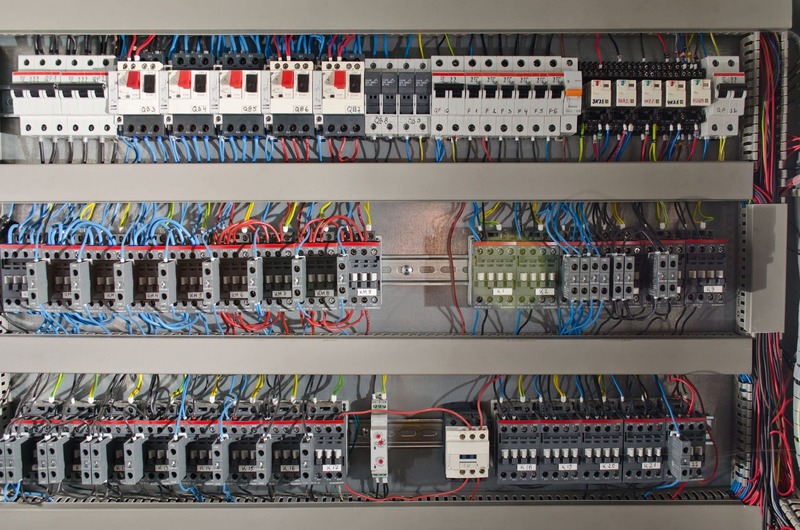 Using the latest tools, equipment, and training, we strive to provide the highest level of service for our clients whether they need the most advanced and efficient cooling systems for their central processing units or want to retrofit not-so-new machinery to work with modern wiring. We offer installation, maintenance, and repairs for new and old facilities alike, all with the same dedication to clients’ requirements. At AMEC Electric, we’re a team, and this benefits us as well as our clients. Each member of our staff plays a specific role in our company. This means each player on the team is accountable for upholding his or her responsibilities, and the result is a higher level of service no matter the type of project you bring to us. United, we stand, and this makes every step of each project go more smoothly for everyone involved. Contact us by phone at (732) 205-1507, email at info@amecelectric.com, or simply fill out the form on our website to request service or a free quote. Bring your project to us, and let us get your business up and running or up to par with modern codes. From the most advanced systems in your industry to restoring classic machinery to working condition, we’re here to make sure your project is completed on time and on budget. 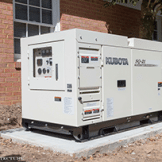 For those unexpected issues, we also offer troubleshooting and emergency services. 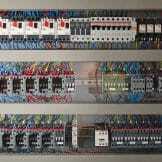 Your company can count on ours to meet and exceed all your electrical contracting needs. From individual automated steps in the product assembly process to creating unique designs in wood via a CNC router, you need your control system to be fully reliable no matter the circumstances. At the same time, your system should be user-friendly and operate as efficiently as possible to maximize production and minimize costs. Our team has the knowledge and experience to provide a customized solution allowing you to add on and upgrade various components as necessary, and we can help you choose the most cost-effective options available. An interruption in power could be a mere nuisance for some companies, but it could be devastating for others. Either way, having a backup plan in place is crucial for avoiding downtime. We can install a fuel-driven generator designed to operate your entire facility or only basic elements of your system depending on your specific needs. For those of you whose work or entire inventory is dependent on a continuous power source and sterile environment, a UPS system could be the answer. If you know which backup system you need, we have the training and equipment to install it. However, if you need advice on the one most suited to your business, we have the experience to help you decide. 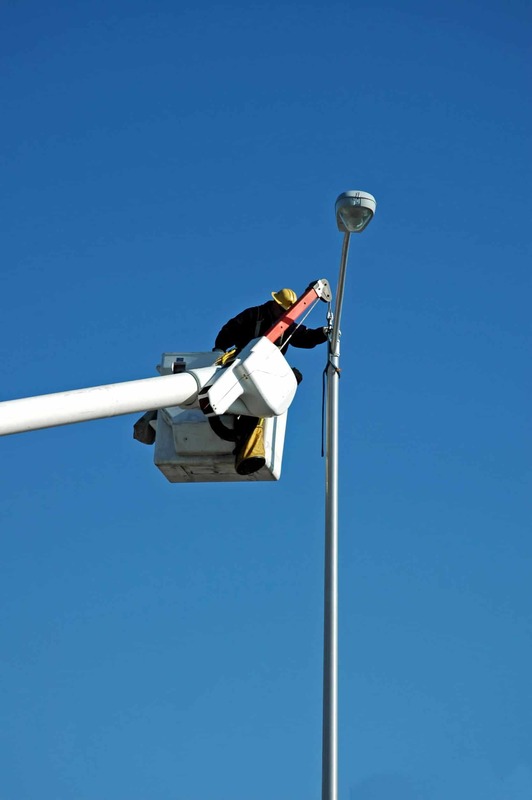 Public lighting comes with a number of considerations. 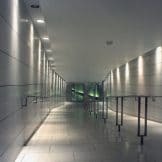 While it needs to provide safety and enough illumination to serve its intended purpose, it also has to remain compliant with local brightness, glare, and efficiency regulations. Regardless of how well these installations are maintained, they still need to be updated as new technologies and ordinances are developed. 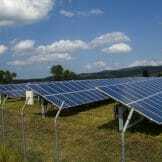 This field is one of our specialties, and our team makes a point of staying a step ahead of the latest developments. 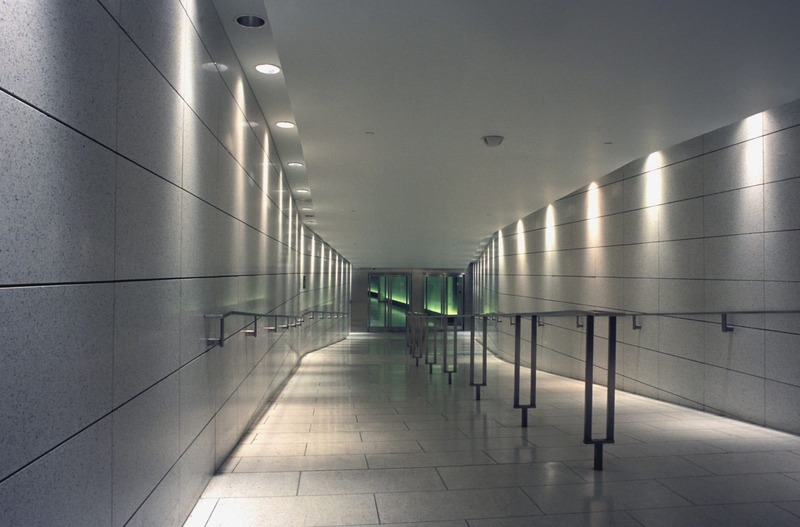 We’ll install your lighting, keep it in top-notch condition, and update it as the need arises. We’re fully equipped to handle projects of any type and size, and our bucket trucks are an extension of our electrical contracting arsenal. Our fleet gives us the strength, maneuverability, and versatility to cover all your needs. 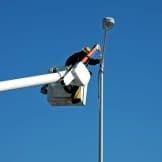 From new utility and telecommunications installation to LED sign maintenance and repairs, we have the capacity to rise to the occasion without destroying your landscaping in the process. Your company’s internal networking system keeps your staff linked together while helping make sure any information stays where it belongs. 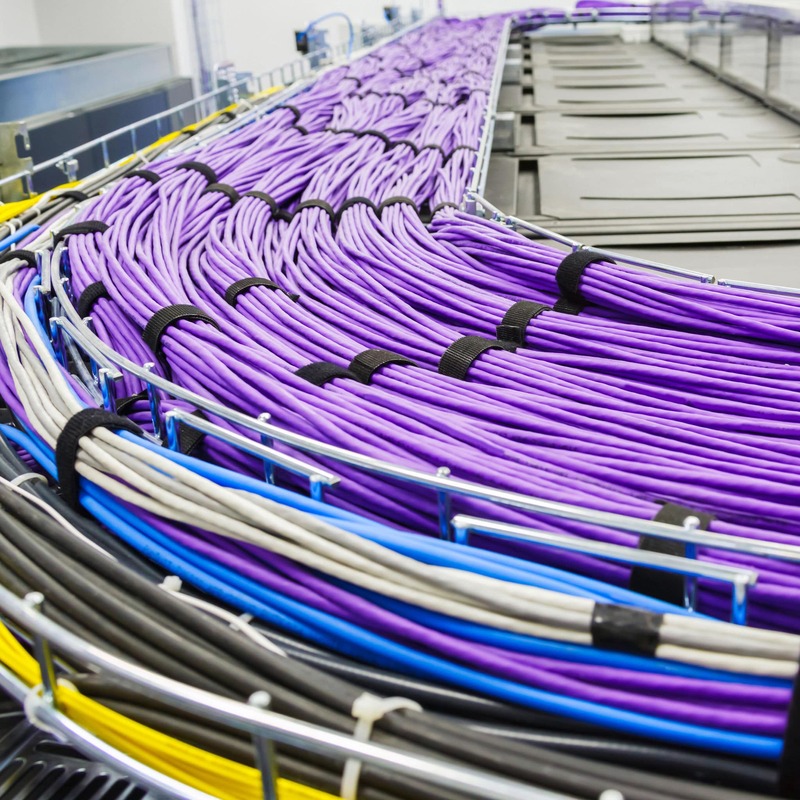 Of course, the cabling connecting everyone in your ethernet makes all the difference. 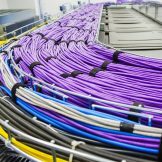 The type of cable needed depends on the speed and volume of communication you expect the network to carry, the system in place, and several other considerations. 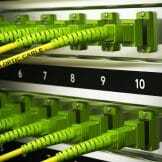 We realize whether or not it’s all wired properly is as important, if not more so, than the cable itself, so we’re well-versed in understanding clients’ needs. We can install an entirely new system or assess one currently in place to determine if it’s capable of meeting your expectations. 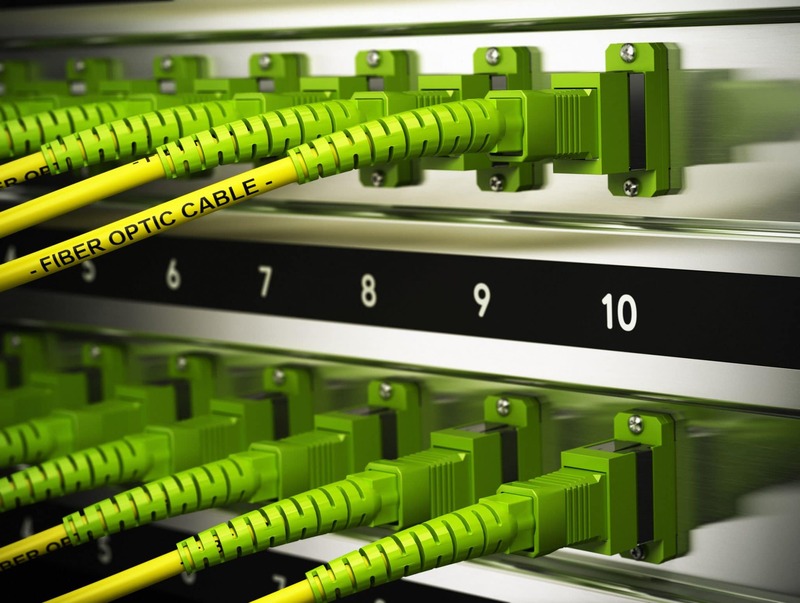 Fiber optic cabling offers plenty of advantages over the less reliable alternatives, and these are vital when it comes to your internet and phone lines. Our team will help make sure as little signal degradation as possible stands between you and your communications systems. It’s a safer, faster and more effective option to meet your communications needs. 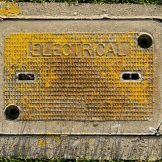 We take the time and effort to determine where all your underground utility systems lie long before engineering, design, and installation take place. If we were to “just dig,” the consequences could be devastating. Not taking those seemingly small details into consideration could bring the entire project to a halt and shatter your anticipated deadline. At the same time, knowing where those utilities are located can give us a great deal of insight into the most efficient setup for your systems and even cut the costs of materials. 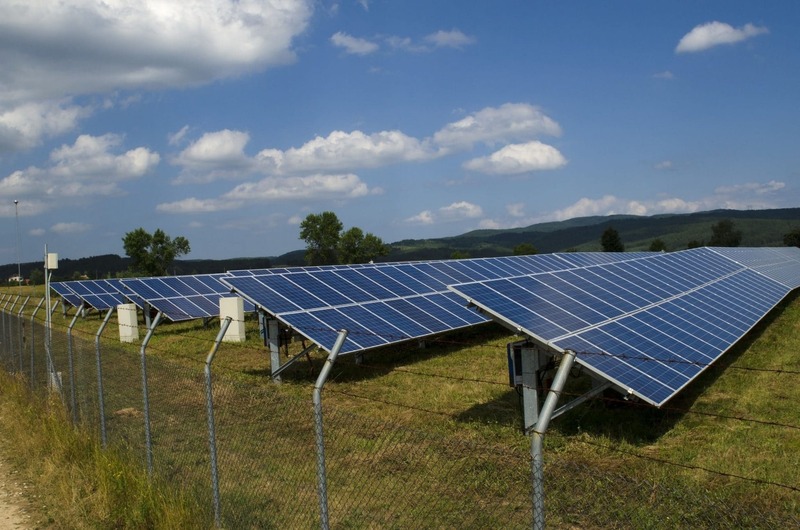 Solar power has become a practical and affordable alternative to traditional electricity, and with the right system, you could save considerably on your operating costs. We take into account the amount of power you’ll need your system to generate, your overall expectations, the location of your business, its surroundings and a range of other factors when planning out the details of your solar photovoltaic system. We also factor federal, state and local building codes into the equation when designing your panels, modules and supports as well as installing them. From that point, our certified team will provide scheduled maintenance and repairs as necessary.